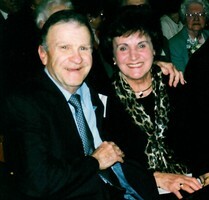 Provide comfort for the family of Nancy DeVito with a meaningful gesture of sympathy. 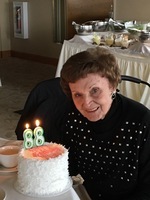 Nancy Ann DeVito, age 88, of Robbinsville, NJ entered into the hands of God on Saturday, January 12, 2019 at the Compassionate Care Hospice Unit at Robert Wood Johnson Univ. Hospital at Hamilton surrounded by her loving family. Born in Trenton, NJ she was a lifelong area resident. Nancy was a graduate of Trenton Central High School. She retired from the State of New Jersey Judicial Court System as a statistician after 23 years of dedicated employment. Nancy was a member of the Tuesday night club girls, who gathered every Tuesday for over 70 years. She loved to knit and play cards. She loved entertainment of any kind, whether it was singing, dancing, music, or watching TCM old movies. She always said she loved her life, and loved nothing more than spending time with her beloved family. Nancy enjoyed a nice glass of wine, and spending time in Bridgehampton with family. 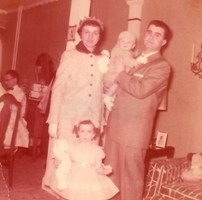 She was a loving and devoted wife, mother, mother-in-law, sister, aunt, and friend to many, she will be dearly missed. 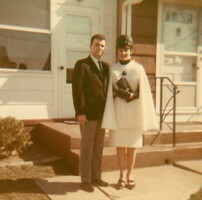 Daughter of the late, John and Jennie (Moschella) Tiberi; beloved wife of 62 years to the late, Fred L. DeVito; mother of the late Andrea Quarino; sister of the late, twin sister-Louise Sessa, Dora Minotti, and Frank Tiberi; Nancy is survived by her son Fred M. DeVito and wife Elisabeth Halfpapp; her son-in-law, Jerry Quarino; her sister, Tina Spencer; and her sister-in-law, Gloria DeVito; as well as many nieces, nephews, and other family and friends. To plant a memorial tree in honor of Nancy Ann DeVito (Tiberi), please visit our Heartfelt Sympathies Store. Aunt Nancy, You are beloved to us and I know your spirit is in heaven and your love is all around us. I am sorry for your loss. May “the God of all comfort, who comforts us in all our trials” sustain you during this difficult time. 2 Corinthians 1:3, 4.